Every charity is obliged to complete and file an Annual Return, regardless of its size. This document provides the Charities Commission (and, by extension, the public) with important information regarding your organisation’s activities, as well as its financial situation. The Annual Return can now be filed online, and many charities find this is the easiest way to complete the document. But what information must you give, and how is the Annual Return structured? The Annual Return is split into three Parts, referred to as A, B and C. Part A contains basic information about the charity, and is used to make up the Register of Charities. Each year, you will have to give details in Part A of the charity’s trustees, activities, and place of operation. You also need to provide contact information for the charity itself and its representatives, including an email address through which the Charities Commission can get in contact. You will also need to enter details regarding income and expenditure in Part A. These figures should relate to the financial year covered by the Annual Return. It is not uncommon for charities to enter figures for the wrong financial year, so you should take special care here. 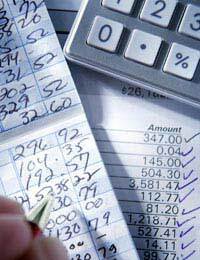 In Part B of the Annual Return you are required to enter more detailed financial information. In order to complete this part of the document you will need access to your charity accounts. Broadly speaking, Part B requires charities to give details of income, outgoings, assets and liabilities. This will then be added to the Register of Charities to demonstrate the financial workings of the charity in question. It is important to note that the information you provide here should be taken directly from your accounts, without being adjusted. The only change that may be made is to round figures to the nearest pound. You should ensure that you answer every question and put a figure in every box, even if you just enter a ‘0’. Part C of the Annual Return is known as the Summary Information Return (SIR). You are only required to complete this part if your charity has an income that exceeds £1 million. The SIR is intended to provide the public with more detailed information on the workings, aims, activities and aspirations of larger charities. There is no standard format for the Summary Information Return; instead, charities can broadly choose how to present this information. You should always remember, though, that this is intended for public consumption. As such, you should make it as readable and easily understandable as possible. The SIR should also include information on any factors that affected the charity’s performance over the course of the year covered by the Annual Return. You should instruct readers as to where they can find more information, for example in the Trustees’ Annual Report. The Annual Return is a significant document for any charity. It gives you the opportunity to provide the public with important information about the achievements and aims of your organisation, as well as giving you the chance to take stock of the year just passed. Make sure that you complete this document fully and accurately; you are legally obliged to do so, and it may just help you to better consider your organisation’s performance.